Every week, a new discussion will be posted concerning numerous topics having to do with the Friday The 13th franchise. These posts will give our readers a chance to voice their opinions on these subjects and generate some interesting discussions for our readers about the films. 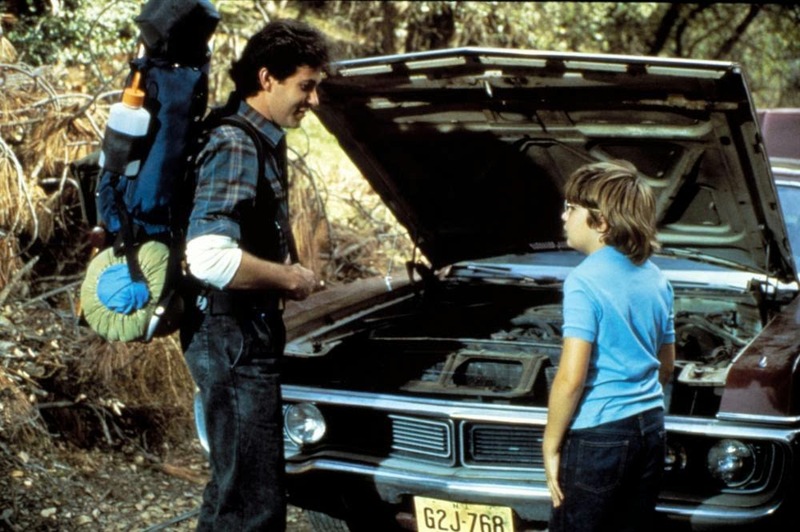 In Friday The 13th: The Final Chapter, there is the scene where Trish and Tommy are stranded on the side of the road when their car breaks down. They are ultimately rescued by Rob Dier, who fixes their car, and in return they give him a lift back to the Jarvis house. During the car ride back, Trish asks Rob what he's hunting for in the woods. Rob states, "Bear", for which young Tommy mentions, "You can't be hunting for Bear". One would think then that Rob has no idea about the area he is going to and just made up what he was hunting for in order to cover up his true intentions of hunting Jason! However, Friday The 13th Part 2 backs up Rob's claim. In Part 2, during Paul Holt's orientation speech, he says that they are in Bear country. So, are Bears only found by the camp portion of the lake? Does Tommy not know what he is talking about in The Final Chapter? Was Rob Dier truly just making up the Bears on the fly, or did he know it was Bear country? These are all fun points to talk about and discuss. What are your thoughts on the scene? If you have any discussion ideas you want shared in this weekly spot, please Contact Us and your topic may appear on our website!